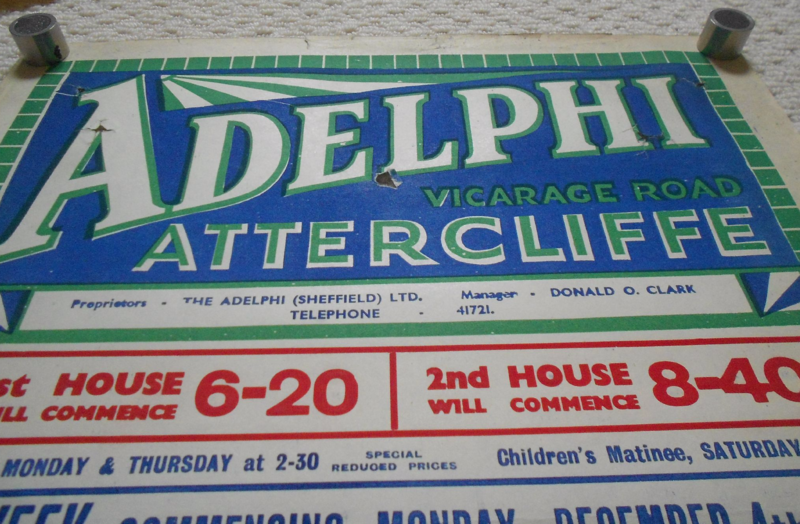 Condition Poster is in Good / Very Good condition with holes and tears in the Adelphi header. It also has tiny scattered edge chips and tears. About this poster - This poster was created in 1933 for the Adelphi cinema,Sheffield, England. It is more than likely one of a kind and shows a wealth of information about the cost, matinee showings and is a wonderful historical poster from over 80 years ago.